Mesothelioma or Mesothelioma cancer is known for usually affecting people in constant contact to asbestos during long periods of time. Is one of the most serious asbestos-related diseases where the prognosis is generally poor, but if the treatment is correct and properly done, it could help to alleviate the symptoms and obtain higher chances of a positive outcome. This disease affects the heart, abdominal cavity and lungs, attacking the protective thin layer surrounding them. It is believed that the majority of the cases diagnosed in the United States are due to job-related exposure to asbestos. Even though, the use of asbestos has decline considerably, the amount of people affected by this disease has remain steady. 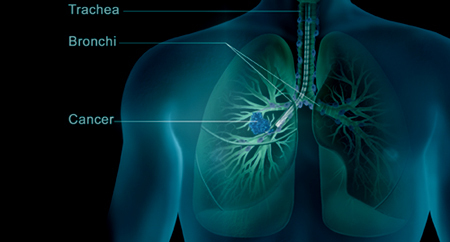 There are different types of Mesothelioma, mostly differenced by the organ affected. The most common one is called Pleurant Malignant, which appears in about 75 percent of the cases, affecting the lungs. Peritonial Malignant Mesothelioma is the second most common type appearing in 10 to 20 percent of the cases affecting the abdominal cavity. Malignant Mesothelioma of Pericardial variety appears in only 1 percent of the cases, approximately and the rarest type known is Testicular Mesothelioma which affects less than 1 percent of the cases. Symptoms or signs of this disease might not appear until 20 to 50 years after the exposure to the particles of the asbestos. The most common symptoms of pleural mesothelioma are shortness of breath, pain in the chest, coughs and retention of fluids in the pleural space. Some symptoms of the peritoneal mesothelioma are abdominal swelling and pain, weight loss, vomiting, constipation, swelling and night sweats, but if the cancer has spread to other parts of the body then trouble swallowing and pain will most likely occur. The mesothelia that affect the pleura can cause chest pains, fatigue or anemia, hoarseness or cough and pleural effusion. In stronger cases, the person’s lungs might collapse. When the tumors affect the abdominal area they often do not show any signs or symptoms until they are in a very late stage, these symptoms are abdominal pain, a mass in the abdomen and weight loss. In some extreme cases it might also appear blood clots in the veins, low blood sugar level, pleural effusion and yellowing of the eyes and skin. In some cases of Pericardial mesothelioma there can be seen cardiac symptoms, pulmonary embolism, heart failure and cardiac tamponade, as well as other non-specific symptoms like orthopnea and cough. The symptoms are known to go unnoticed for a long time, making it difficult to diagnose during the early stages of the disease. However, pain around the tumor and fatigue are commonly observed during early stages, while weight loss, shortness of breath, the buildup of fluid and pain around the tumor are considered late-stage symptoms. The majority of people that encounters exposure to asbestos while working are believed to make up for 70 to 80 percent of all the cases, but the other 20 to 30 percent could be people that are not aware of their possible exposure to asbestos or what they really are. Asbestos are a large group of minerals containing a group of flexible fibers, these fibers once they are separated they can be woven. Because of the flexibility in their components, asbestos are used in a wide range of products like cement, textiles, brake linings, floorings and such. If any of the particles in the asbestos were to be airborne, inhaled or swallowed, particularly during manufacturing, a potential risk to the health could be triggered, especially if prior to that, other health issues were found. If a person has not realized that it has been exposed to asbestos, they would not be able to detect any major symptoms until 30 to 50 years later. The main symptoms of the disease are shortness of breath, weight loss, abdominal pain, anemia, fever, pain in the chest and excessive fluid. These symptoms will vary if the cancer has spread any further. One of the main issues of this disease is that there are a variety of symptoms that could often be mistaken with something else that could vary from a not serious to a very serious condition. Although the path towards diagnosis varies according to the patient, the most accurate method to diagnose this disease is through scans and biopsies. A chest X-ray is usually performed initially, if any abnormalities are found then the doctor will perform a PET scan, MRI or CT scan. After those studies, if there is a suspicion of cancer, then, a biopsy will be referred to the patient. There are a few options to fight the disease, including chemotherapy, surgery and radiation therapy. Multimodal approaches are also commonly used to treat Mesothelioma, this means that doctors combine two or more treatments in order to achieve positive results. Palliative treatments are also used to ease the symptoms, and can be received by patients in every stage of the disease. When a person has been diagnosed Mesothelioma Treatment by a qualified doctor, needs to seek the different treatments that can be given to mesothelioma. Recent scientific research shows significant progress in this area, treatment protocols for mesothelioma patients and their available options along with support and quality of life improvement. Newly diagnosed mesothelioma patients often have many questions to their doctors about treatment options: What is the most effective treatment? Are all treatments the same, or each case is different ? To these questions doctors say: The conventional treatment options for mesothelioma are surgery, radiotherapy and chemotherapy. Recently, chemotherapy drugs Alimta and cisplatin have shown promising results in some patients. In clinical trials of patients with mesothelioma as well as other experimental treatments that certain patients with mesothelioma may be eligible to participate. Our site has a section for comprehensive mesothelioma cancer treatment that includes important information for patients and families. We turned to experts in the field by the likes of Dr. David Sugarbaker and Dr. Rafael Bueno, and a complete list of cancer centers where the treatment of mesothelioma occurs. Beyond conventional treatments for the disease, certain alternative therapies may provide assistance to patients. 1 Response to "Mesothelioma: Types, Symptoms, Diagnosis And Treatment"